The grains of sand demos are some of the most popular on the Adafruit Learning System – they act like containers with sand which change as you tilt them! 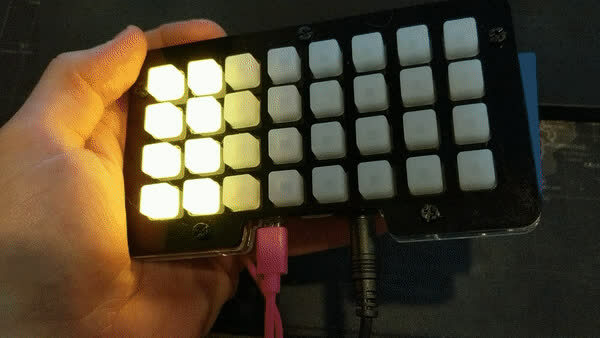 The ‘grains of sand’ code is a great way to demo any LED matrix with an accelerometer, and the NeoTrellis M4 can make this even more entrancing by adding tactile, tap, and sound interaction as well. WARNING: This demo can be addictive – do not loan your NeoTrellis M4 running this demo out to others without being prepared to point them to this article and/or buy/setup one for them yourself! Check out the new guide here.